Ohio University Press, 9780821423240, 208pp. Zimbabwe’s President Robert Mugabe sharply divides opinion and embodies the contradictions of his country’s history and political culture. As a symbol of African liberation and a stalwart opponent of white rule, he was respected and revered by many. This heroic status contrasted sharply, in the eyes of his rivals and victims, with repeated cycles of gross human rights violations. Mugabe presided over the destruction of a vibrant society, capital flight, and mass emigration precipitated by the policies of his government, resulting in his demonic image in Western media. 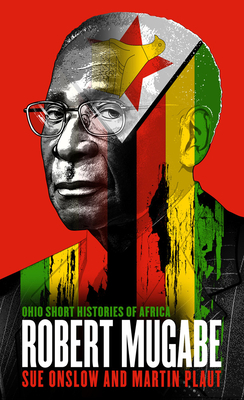 This timely biography addresses the coup, led by some of Mugabe’s closest associates, that forced his resignation after thirty-seven years in power. Sue Onslow and Martin Plaut explain Mugabe’s formative experiences as a child and young man; his role as an admired Afro-nationalist leader in the struggle against white settler rule; and his evolution into a political manipulator and survivalist. They also address the emergence of political opposition to his leadership and the uneasy period of coalition government. Ultimately, they reveal the complexity of the man who stamped his personality on Zimbabwe’s first four decades of independence. Sue Onslow is Deputy Director of the Institute of Commonwealth Studies, School of Advanced Study at the University of London. She has written widely on British foreign policy and decolonization, and southern Africa in the Cold War era.